Zupan's Markets has released the sixth in its series of private-label brews, this one made with pFriem Family Brewers in Hood River. 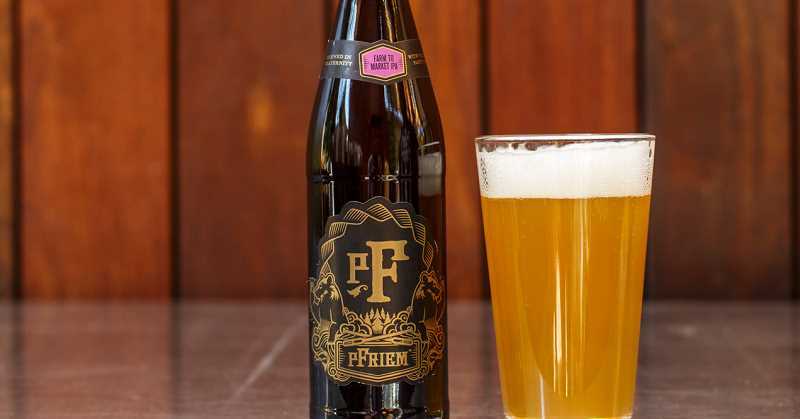 Zupan's Markets has partnered with Hood River's pFriem (pronounced freem) Family Brewers to release the sixth Farm to Market beer in its private label line. The Northwest-style IPA is inspired by the summer season and packed with notes of papaya, ripe melon and honey. It's perfect to pair with casual summer fare such as fish tacos, burgers and fries. "Zupan's Markets is excited to continue to bring our customers exclusive beer creations in partnership with the best local craft breweries," says Zupan's Markets President and CEO Mike Zupan. "pFriem continues to be a leader in craft beer innovation, and together we have created the perfect summer IPA." This IPA is currently on shelves at all three Zupan's Markets in 16.9-ml bottles for $5.99. With only 125 cases produced, it will be available only for a limited time. The pFriem team will sample the new beer and other pFriem favorites from 3-6 p.m. on Friday, July 27, at the Lake Grove Zupan's Market, 16380 Boones Ferry Road. "Zupan's is a quality- and flavor-driven grocer," says Josh pFriem, founder of pFriem Family Brewers. "We value their continued partnership, along with their dedication to bringing customers exciting food and beverage choices." The new IPA is 6.5 percent alcohol by volume and has an IBU (International Bitterness Unit) rating of 45. Malts used to make the beer include Rahr Pale Malt, Thomas Fawcett Malted Oats and Flaked Oats ; hops used are Citra, Denali, El Dorado and Oregon Amarillo, with American Ale yeast. It is described in its tasting notes as having an "Illuminating gold body topped with fluffy white foam. Fruity aromas of marionberries, watermelon, citrus, papaya, lychee fruit and pineapple. Jammy flavors of cantaloupe, honeydew melon, blueberries, raspberries and honey. Finishes tropical and jammy with a citrus zing." pFriem Family Brewers is a Northwest- and Belgian-inspired 15-barrel brewery and tasting room in Hood River, founded in 2012 by Josh pFriem, Ken Whiteman and Rudy Kellner. For more information, visit pfriembeer.com. For more information about Zupan's Markets, go to zupans.com.